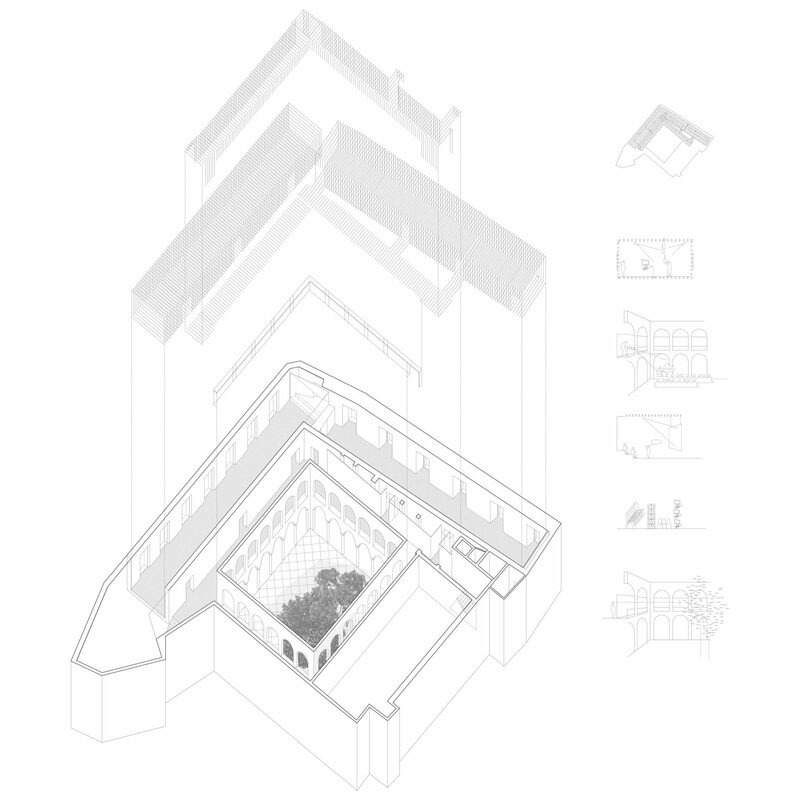 This intervention interprets the building where the sixteenth-century convent is inserted, as a context that over the centuries is continually being transformed. Beyond a historical interest, the succession of alterations suggests a metamorphosis; the approach to the building emerges from the search for its materiality, concealed by the claddings of the old university classrooms. 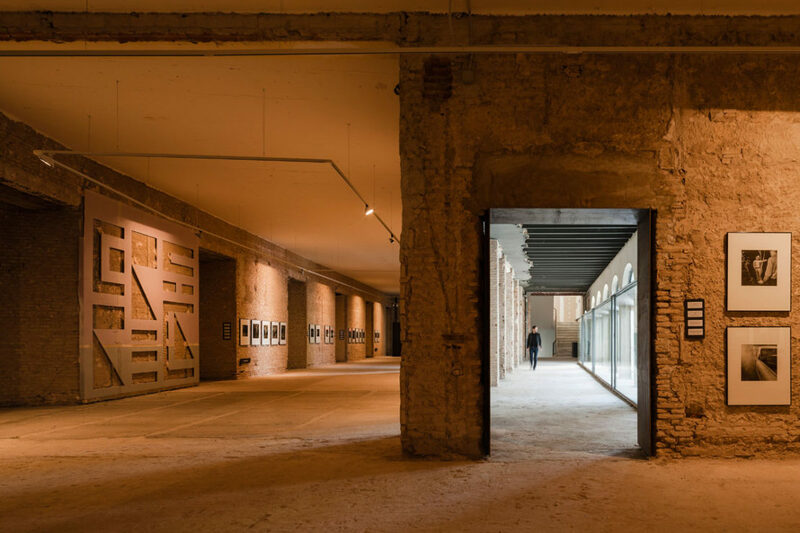 In this space that has been so dramatically altered, with an extremely limited budget, the project is activated by the action of discovery; converting destruction into something as natural as construction. After unmasking floors, walls and ceilings, the blurred openings between spaces were reinforced with steel jambs and lintels and new glazing was installed in the cloister to recover the transparent relation with the courtyard that existed when it was an ambulatory. The result is a rough intervention that doesn’t pretend to be conclusive, but offers an intermediate moment. From this point all options are possible; it is a space in an ellipsis, waiting expectantly for each artistic installation to complete it.